When you post to Facebook, do you get a lot of "thumbs up" and "hearts," or do you see your fair share of negative Reactions or comments? Or worse, are you getting ignored, unfollowed, or unliked? 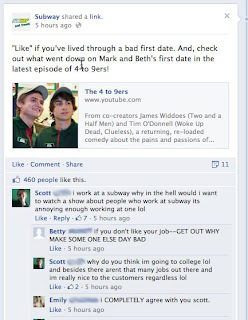 How can you tell if your Facebook content is sub-par? Do you see a steady number of Impressions, but gain few engagements? Your audience is probably ignoring your content. Or isn't interested. Do you see a significant number of "hide posts" in your Analytics? Has your Likes count dropped? Your audience doesn't enjoy your content. A "Hide Post" or "Unfollow Page" tells you just as much as a Like, Share, or Comment - your Followers are sending you a message to up your content game. Follow these four tips, and you'll start seeing an increase in positive engagement on your Page. Those cutesy posts that get a lot of "Likes" on your own account? You know the ones - think "Happy Monday!" or a picture of an adorable cat - keep them on your personal profile. Unless, of course, your business is cats. In that case, show those kitties some love. 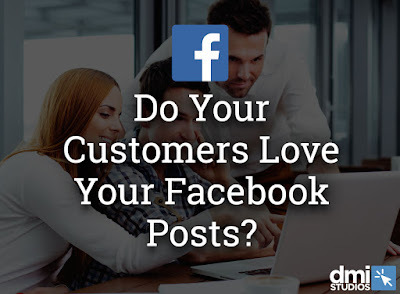 Sure, those posts might get a lot of Likes, even on your business Page. But they're not valuable Likes. Monday Funday - Share something fun going on in your office. Testimonial Tuesday - Share a testimonial you've received from a customer or client. Whiteboard Wednesday - What does your whiteboard look like this week? What about the conference room? Throwback Thursday - Take a trip down memory lane with a picture from your company's past. Fun Fact Friday - Share an interesting tidbit about your business or industry. Bonus: each of these ideas can easily be hashtagged, which can increase your visibility! Above all else, make sure every post has a strong visual component. Look, people don't want to feel sold to. Yes, you have a product or service to sell; we all do! But people want more when they're on Facebook. Provide value. Share tips and tricks for your customers, industry news and pertinent updates. Provide answers to the questions you often hear. Share your blog posts to your Facebook audience, share content from other sources, hold a Facebook Live Q&A session, create a FAQ video series - the possibilities are endless! Your social media presence doesn't need to be all serious, all the time. Don't share article after article, or worse, post without any kind of visual like links, pictures, or videos. Behind the scenes pictures - Share pictures of your team in the office, at events, or having a lunch cookout. Share posts from your customers - Give them a shout out for a recent achievement, share their events, and promote their products and services. Acknowledge your staff - Wish them a happy birthday or work anniversary, and welcome new employees. Show the faces and names behind your brand. Incorporate national "holidays" - Have a pizza party on National Pizza Day, share a prank on April Fools Day, bring in pies on Pi Day (March 14th - 3.14). You get the idea. 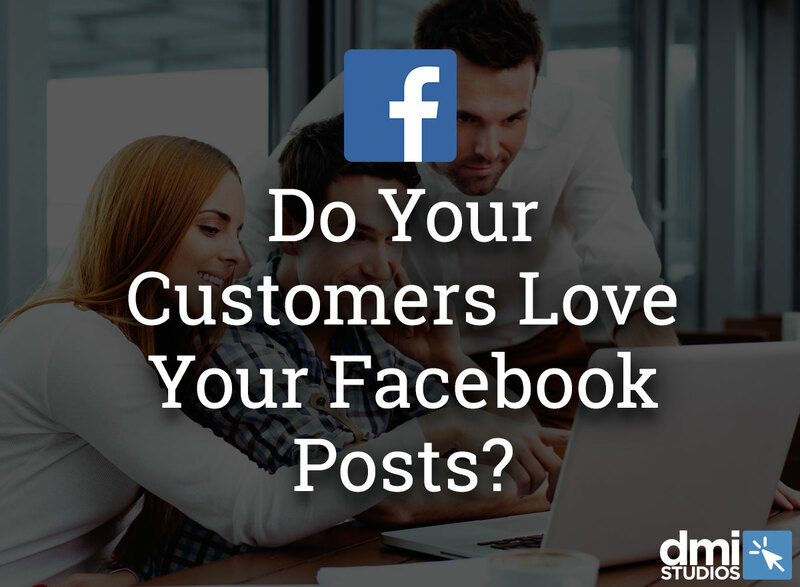 Your Facebook presence may be the first impression a customer has of your business. Don't sabotage yourself with spelling errors and grammatically incorrect sentences. You will look unprofessional, and you surely don't want the embarrassment of getting called out on it. There is a saying that the best way to tell if anyone reads your content is to include a spelling error. Proofread - read your status out loud, if it helps. Get another set of eyeballs - ask a coworker to check if you're unsure you missed anything. 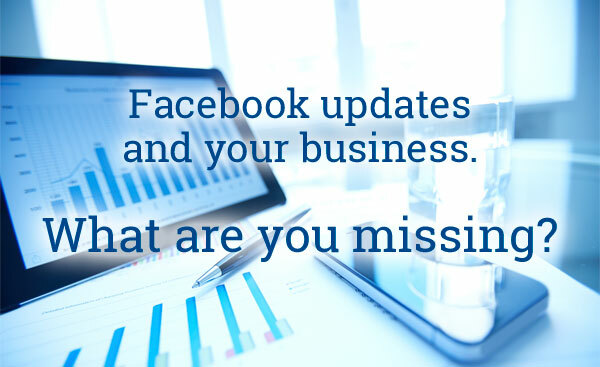 Are you ready to make some changes to your Facebook profile? Go for it! We'd love to see what you've implemented. Still have some questions? No problem! Give us a call, and we'd be happy to chat. The social media world is constantly evolving. Sometimes, it feels like there is an update or new feature announced every day. We're looking at you, Facebook. With so many changes, it can be easy to miss or forget about a feature. At the very least, they can start blurring together. 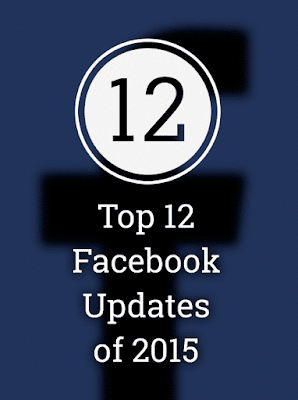 Whether you need a refresher, or you'd like to take a stroll down 2015 memory lane, we've got you covered with a 12 Days of Christmas-inspired list of our top 12 favorite Facebook updates of 2015. In March, Facebook announced that users would be able to send money via Messenger. This free and secure service allows users to exchange money without being face to face. The sender and recipient simply enter their debit card information in the payment section of a new message and the funds transfer to/from the attached accounts. In August, Facebook made it possible for Pages to respond to their customers' comments privately via Messenger. Next to the comment, a message will appear saying the comment has been responded to privately to show the concern has not been ignored. This move makes social customer service quick and efficient. A Brand can address concerns without asking Followers to contact them a second time, and this makes it easier to solve questions regarding personal information. In the same efficiency vein, Facebook announced the same month that Pages would be able to save message templates. This allows Brands to answer FAQ quickly without taking the time to re-type the same response over and over. Do you see where we're going with this? Facebook has made several improvements to advertising to make Marketing on the platform easier. In February, Facebook introduced a way for advertisers to better promote their products. Targeted product ads allow advertisers to promote multiple products or their entire catalog at once. It also enabled advertisers to target a specific audience, particularly users who have previously visited the Brand's website. Dynamic cross-platform advertising helps advertisers best reach their audience. This feature enables Brands to reach their audience on any of their devices, regardless which device they initially saw the content on. It shows users ads for products they are interested in or that they have searched for on the company's website, and automatically optimizes ads by device. Custom Audience Tools is another way Facebook is helping advertisers develop their target audience. This feature allows Brands to create an audience based on activity on their website or based on users' purchase history. Targeting the right audience makes the ads more relevant to the users and worthwhile to the Marketers. In April, Facebook introduced PlanOut, a set of tools designed for running online field experiments. These tools allow advertisers to change an ad's demographics without changing the content. This means advertisers can test how content performs with different audiences, which provides valuable user information. In November, Facebook released Notify, a notifications app currently for iPhone users. Notify enables push notifications for news from topics the user is interested in. Users can select which subjects to receive notifications from and can share via text or social networks via the lock screen. This app keeps users to up-to-date all day on news stories without searching for an article or scrolling through a news feed. In October, Facebook announced they had introduced and were testing Reactions with users in Ireland and Spain. This feature offers six emoji (love, haha, yay, wow, sad, angry) that users can respond to a status update with. Reactions allow users to interact with content beyond "Liking" or commenting. When Followers use these Reactions, Brands will be able to better understand how their audience responds to their content. In July, Facebook updated how users view their news feed. Users can now choose which friends' and brands' content to see first, as well as find new pages to follow. This gives the user control over their news feed, making it a more personalized experience. For Marketers, however, it means that creating original, engaging content is more important than ever to keep their audience interested. In May, Facebook introduced Instant Articles. Instant Articles is a fast, interactive way for users to read articles directly from their news feed and load 10 times faster than standard mobile web articles. By making articles easier to read, Marketers gain more control over their content, and have more opportunities for their Followers to interact with them. In September, 360 degree videos were introduced to Facebook. These videos allow users to see visual information from every angle. Marketers can now ensure their audience sees the full picture easily and in one video. The use of video is growing rapidly, and this update can change the way visual content impacts Marketing. For more information about each of these updates, visit newsroom.fb.com. 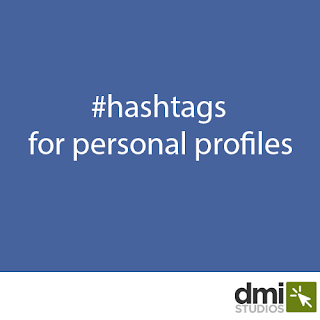 rolling out hashtags with their updates, photos and statuses, but what does this mean for personal profiles? It seems a number of people are asking. We'll help clear up any confusion. 1. Who can see my hashtags? Facebook always looks at the setting on the status update. If it is marked "Friends", only your friends will see the posts with hashtags. 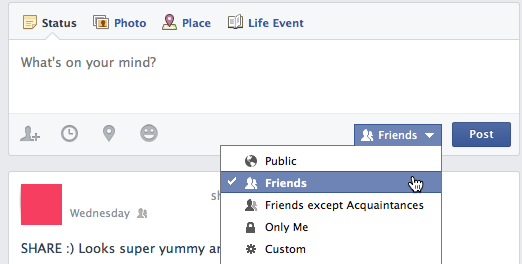 However, if your status update is marked "Public" anyone will be able to see it. Takeaway: Your statuses privacy setting always trumps the hashtag. 2. What are hashtags for? 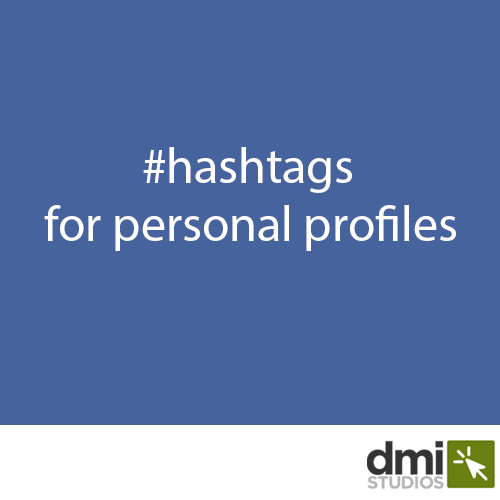 Hashtags are a way to mark a status update with a category or description. For example, if you've posted a picture of your summer vacation, you could mark the post with #summervacation. Then, your friends can easily click on the hashtag and view all of your #summervacation updates, photos and more, with one click. Think of it as a social-version of labeling your updates. 3. Beware of becoming a hashtag-a-holic. Once you begin, you may quickly learn to enjoy tagging updates. You may feel more social media savvy than your 16 year old niece. While the goal of tagging updates is to add to Facebook's social atmosphere, please be cautioned that you could make your friends upset with you in real time. Hashtags are fun and even a bit useful. However, please remember that a run-on of more than three words is difficult to read. That one is easy to read and even adds to a post. This one is more cumbersome and has less of an impact - there is really no reason to use that tag as it's probably not relevant to anyone other than you. But, it can be fun to use once in a while. Woah! Slow down slugger. Tags with more than three words are difficult to read and your friends will soon hate you with a passion if each of your updates come with one (or more!) of these bad boys. Remember the whole point of Facebook is being social. Don't pull out a whopper of a tag and expect all of your friends to read your updates with willingness and anticipation. You're not a celebrity. Yet. We wouldn't recommend using more than three tags to a status update. While tagging updates is a ton of fun, the goal isn't to make anyone's eye's gloss over looking at the long list of hashtags that accompany your update. Choose three of the most relevant tags you can think of and always remember your audience. No one likes a person that tags more than a graffiti artist. Keep it in control. Be smart when tagging your updates. If you've got a class reunion coming up, tag the updates, photos and posts with the same tag all of the time. Your classmates may catch on and it can quickly become a great way to share everyone's content under one tag. The hashtag should be easy to read and remember. If you see other's posting content about the class reunion, encourage them to use the hashtag. There are many Facebook users that still don't understand what hashtags are all about. Once they see tags in action, they'll never forget. The point of all this is to have fun on Facebook and enjoy one more neat feature. The second point is not to become frenemies with those that follow your Facebook feed. Remember your audience when posting, updating and tagging. Hashtags have crossed over from Twitter to Facebook. Remember when spam emails were just catching on? Email marketers would use every trick in the book to get you to open their email. Hashtags can have a similar "spammy" look to your posts on Facebook if you're not careful. So, how can you best harness hashtags for your brand? Hashtags are best used when they're specific to your brand. Remember, the hashtags you use can then be clicked upon by your audience. So, be sure to tag posts with words you want your brand associated with. Do a quick search before you tag your post - be sure you want to be associated with the content that's presented in the search results. How to - If you're a local restaurant and it's 90 degrees outside, you could post a shot of your trademark dessert along with the hashtag's #dessert #icecream #summer. Here you've used relevant terms customer's can associate with your restaurant/dessert. At the same time, you haven't narrowed the hashtags down so much that no one in their right mind would search Facebook for those terms. You've hit the hashtag sweet spot! Hashtags seem to be like potato chips: some people think you can't just use one. While one or two or even three hashtags may best fit with your Facebook post, remember to value your reader's time. A post with way too many hashtags is annoying to read. Most likely, your readers will just scroll away from whatever you've just shared. Instead, keep your tagging to a limit of three. Remember, your business page should be enjoyable for your audience to read. It should not be a brag-fest or so convoluted that it becomes an annoyance. 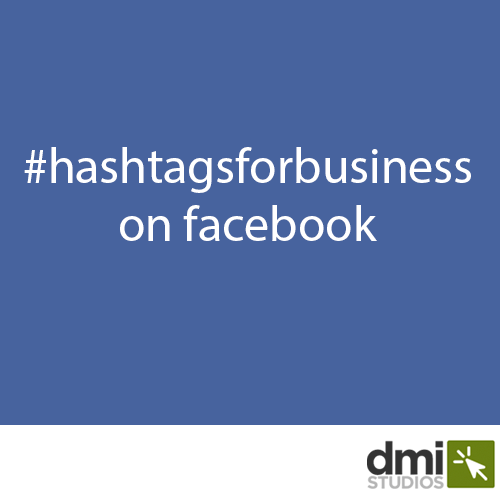 If you've begun using a hashtag on your page, try to use it consistently. That way, your audience will be familiar with it and more apt to click on it to view all of your posts (as well as other public posts) with that tag. How to - Your local restaurant could use the same hashtags all summer long to feature your desserts. Maybe post a different dessert each week using a few of the same tags: #summer #dessert and one specific tag, if relevant: #chocolate. If you've "Liked" a Facebook Page that has more than 10,000 Followers, you may have noticed reply threading in the comments section. It's been a long-felt irritation that individual comments couldn't be responded to. Rather, just a laundry list of comment after comment with @ signs used sparingly to allow commenters to discuss with one another. Threaded comments is a common feature on many blogs and it's taken quite a bit to get Facebook on board. The good news? Lively debates can be hashed out right there on the Facebook page. The bad news? Lively debates can be hashed out right there on the Facebook page. In increasing frequency. For now, threaded comments can be seen on on some Facebook Pages with over 10,000 Followers (we've searched out a number of these pages, and threaded comments still weren't active yet). Facebook for mobile users can't see the threaded comments yet, as the feature is only enabled on the desktop version of the site. Comments that are more relevant to viewers or that have a lot of dialogue are to appear higher in the comment listing while comments marked as spam will be towards the bottom. What to see threaded comments on your Facebook Page or Profile? That should be coming in July!